Every little girl loves to be called princess. These playmats give the 3 to 12 month princess all she needs to make her day special. The four princess's items are gold crown, silver slipper, pumpkin coach, and princess with crown. Each toy has our special noises maker of bell, rattle, squeaker and crinkle paper. Each snapped on toy is removable for individual play. These toys are made of gold and silver Lyra with pink Minky fabric. 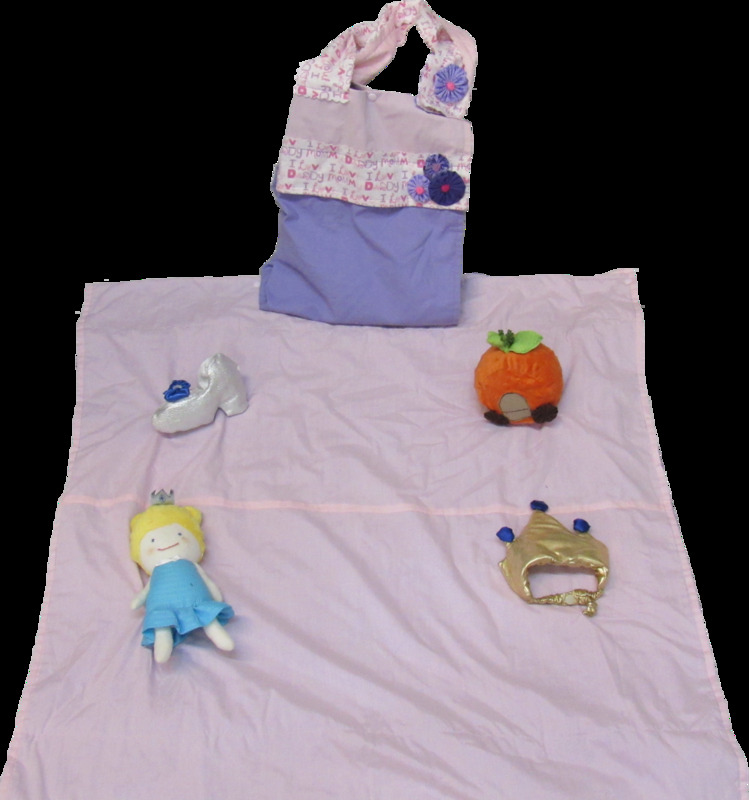 Our princess's mats are made of pink and purple cotton fabric and printed flannel "I love Mommy and Daddy". We have added YoYo flowers to each bag.